May 20th—25th, Ailsa Craig Quilt & Fiber Arts Festival at the Ailsa Craig Community Centre. See insert page 13 of this newsletter. Website: www.ailsacraigquiltfestival.ca. 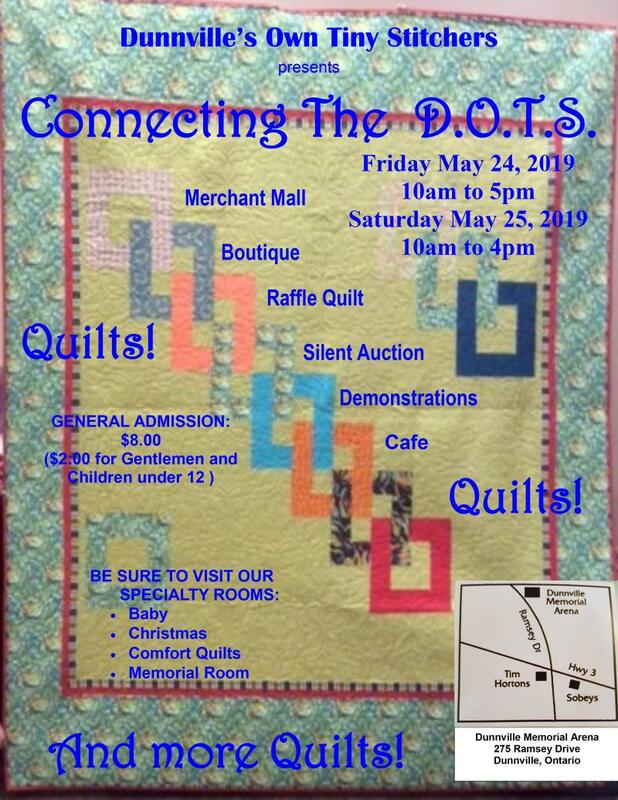 May 24th—25th, Dunnville DOTS Quilt Show, “Connecting the Dots” at the Dunnville Arena, see flyer page 14 of this newsletter.